Welcome one and all to this week's guide - still a bit late but earlier than last week. It's been another hectic few days and once again I didn't get to see any live football - I think my last match was QPR's pre-season game at AFC Wimbledon a couple of months ago but I hope to get out there again soon. I don't have a huge amount to report this week other than a couple of bits of news relating to Non-League Day (NLD). Firstly, I'm pleased to say we sold all of our badges and raised £120 for Prostate Cancer UK (PCUK) in the process so thanks a lot if you ordered one. On the charity theme of the day, PCUK were also announced as the official charity partners of the National League for the rest of the season with sponsors Vanarama temporarily renaming the competition the Manarama National League. The vehicle leasing business have pledged to donate £50 to the charity for every car they manage to lease out to people through their Motorama arm until NLD on 13 October - so if you're looking for a car, go to them. Their target is to raise £150,000 which would be fantastic! 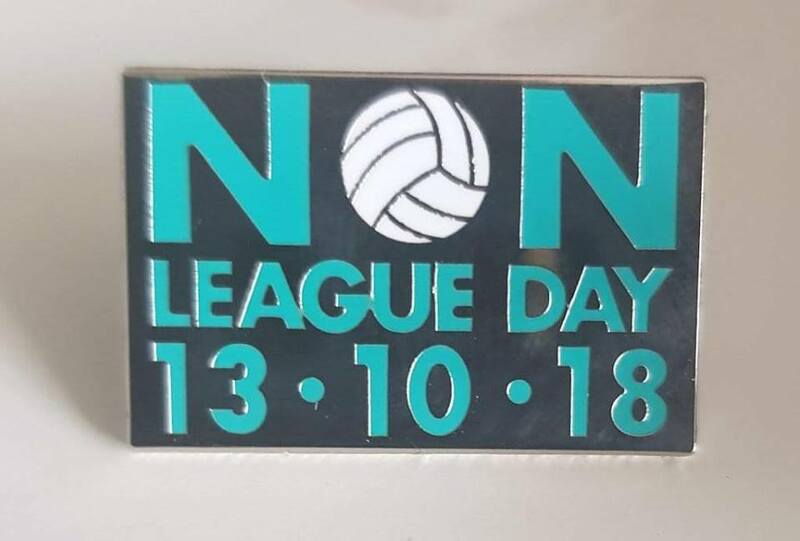 Some of our other partners have yet to unveil their plans for Non-League Day but I've been given a preview and there's some exciting stuff in the pipeline which I hope to share with you over the next few weeks. With the draw for the First Round of the FA Vase taking place on Monday, we'll get a much clearer picture of all the games taking place on 13 October so you'll be able to choose where you'll spend your afternoon should you wish to take part. On the subject of the FA Vase, I'd like to give a special mention to St Panteleimon who pulled off another cupset on Saturday by beating Long Buckby. The Saints, who play in the 11th tier, have never entered the Vase before and have now beaten two higher ranked sides to make the First Round which is some achievement. The club are also currently challenging for the Middlesex County League title alongside Pitshanger Dynamo and PFC Victoria London in what looks like being a very competitive division - keep your eye on all of them as the season progresses. There are over 90 matches in and around the London area over the next seven days with the Premier League and Championship taking centre stage. There are also a load of ties in the next round of the FA Cup.